No matter what your riding preference, this upright bike provides the style and durability found in all Landice equipment. This residential U7 bike is built to commercial standards to ensure quality and is backed by a leading industry warranty. The U7 is an aesthetically-designed and self-powered machine that will complement any residential application. 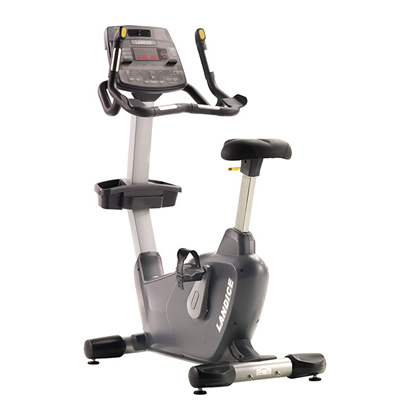 Built with user in mind, the Landice U7 is a fitting addition to your exercise routine. The Landice U7 is designed with the rider in mind providing comfort, convenience and innovation. It represents the new standard in reliability and performance. With multiple handrail positions, the Landice U7 provides one of the most realistic cycling experiences. You will certainly find the right position to match that road-bike-inspired ride. Convenient fingertip resistance controls allow for quick adjustments so you can maintain your position and focus on your workout. Rest assured, with our additional cushioning and tapered seat, the Landice U7 will supply the ride you have been looking for. The chrome-plated seat post has 12 height adjustments to accommodate any user height, allowing you to power through your ride. Additional features of the Landice U7 include a console-based tablet/reading rack, water bottle holder, accessory pocket and fan with multiple settings. 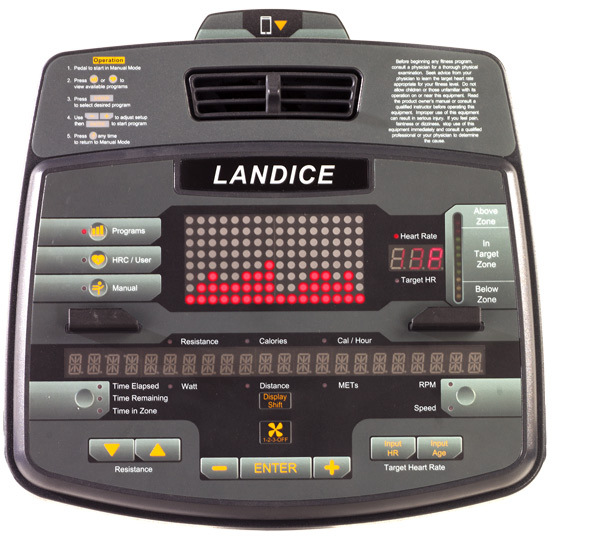 The Landice U7 console features built-in and user-defined programs with an easy-to-use LED display that will keep you on track and energized with your specific fitness regimen. All Home Fitness Bikes carry a Lifetime parts and 1 year labor warranty as long as it’s dealer-installed within a 60-mile driving radius of the selling dealer’s nearest retail store and registered within 30 days of purchase to a residential setting. High-wear items such as pedal straps carry a 90-day warranty against defects in material and workmanship.